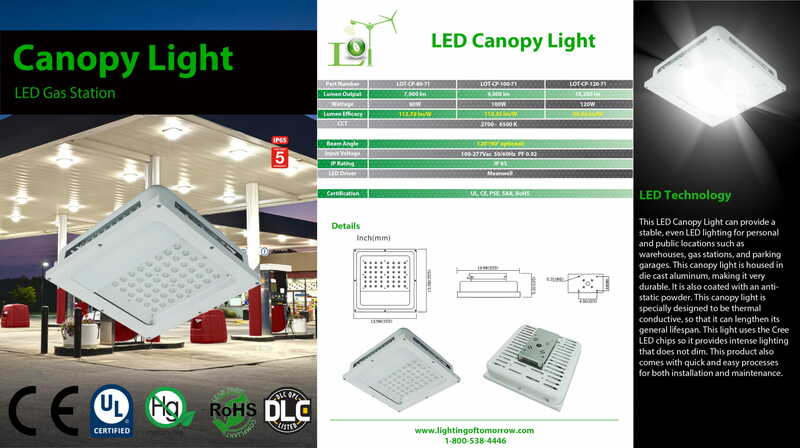 This LED Canopy Light can provide a stable, even LED lighting for personal and public locations such as warehouses, gas stations, and parking garages. This canopy light is housed in die cast aluminum, making it very durable. It is also coated with an antistatic powder. This canopy light is specially designed to be thermal conductive, so that it can lengthen its general lifespan. This light uses the Cree LED chips so it provides intense lighting that does not dim. This product also comes with quick and easy processes for both installation and maintenance.